Americans, both Christian and secular, display a peculiar lack of hospitality and generosity. People rarely invite neighbors for meals. And even when they do guests are rarely offered food (and may even be expected to get it for themselves!). This belies their deep-seated belief in material limitations. Western culture could be defined as “limited good.” Americans do not share goods because they fear running out of resources. Their view of the universe is one of fixed and limited resources which must be hoarded for themselves. One example is their phenomenon of “storage units”—people will store unneeded goods for years in a distant room often larger than an African hut, thinking goods might run out. The typical family has only 2 kids, as many parents worry there is not enough money to raise more kids. Deep insecurities drive them to accumulate possessions “just in case,” or fabricate reasons why they cannot give to meet a neighbor’s need. In their mindset, life is “zero-sum”—if I give it away, then I cannot consume it myself. Africans must play a leading role in saving Americans from this poverty caused by their naturalistic, anti-theistic worldview. This view of limited good keeps Westerners stuck in the cycle of social poverty—their sociologists note the average working-age male has only 0.5 friends and their incarceration rate is the highest in the world. Western life is bound by their image of limited good, and this hinders the development of social and moral virtue. Figure 1: A poor American eating alone, without friends. This of course is not how we Africans perceive the world. We trust God will provide each day for us, endlessly and abundantly, even amidst difficult circumstances. For this reason, we do not worry about sharing our food with guests, even if dozens of people show up unexpectedly. Our spiritual faith and cultural belief in abundance would be considered threatening and antithetical to the obsessive Western practice of hoarding. The African mindset could be defined as one of “unlimited good,” both economically and culturally. How would you response to that? Though some of the observations may be true, characterizing the entire mindset of another culture as one of “limited good” in inaccurate and belittling. Yet, Western anthropology often associates honor-shame cultures with an “image of limited good,” but I think this is a bad idea. In the 1960’s and 70’s a group of anthropologists (e.g., Julien Pitt-Rivers and John Peristiany) pioneered the academic field of honor and shame. Their research based throughout the Mediterranean basin popularized concepts such as “honor-shame,” “challenge-riposte,” “patron-client,” “ascribed vs. achieved,” “kinship structures,” and “purity codes.” Biblical scholarship from the 1980’s onward (e.g. Malina, Neyrey, deSilva, etc.) applied these concepts to biblical texts to develop the field of “socio-science exegesis.” Since the year 2000 or so, missions literature has adopted these same categories from 1960’s Mediterranean anthropology. I’m a definite fan of these anthropological insights and even leverage many of them in my own teachings. However, there is one particular anthropological idea I am not very keen on—the notion of “limited good.” To be frank, I believe the idea itself is of limited good. In my estimation, such a concept is (1) incorrect and (2) demeaning. 1-Why limited good is incorrect. Based on my experiences, people simply don’t approach life in such a simplistic manner. Here are some examples that come to mind. When one person in a village succeeds others eagerly claim such a shared honor and boast, “The big shot ___ is from my village!” The honor of one person generally multiplies unto others, not subtracts from them. And the notion that people resist honoring honors because it deprives them of honor is hardly the standard modus operandi. Just look at hospitality, the host accrues honor by generously bestowing honor upon guests. Many areas of daily life in honor-shame cultures are win-win (as you would expect when success and survival depend on the group well-being). People are generally more collaborative than combative when it comes to honor, as they seek to create connections and alliances through which status is accessed. This does not deny any presence of combat or aggression for honor, but identifies the general approach towards honor accumulation as being communal and collaborative. Then as a macro example: China is an honor-shame culture, but the government is obsessed about growing the economy at 8+% annually. Other Asian Tigers don’t appear to view the world’s goods “as absolutely limited in supply.” Saudi Arabia is sponsoring the Western education of 100,000 young adults so as to diversity and expand their economy. Though anecdotal, these examples do not reflect a “limited good” worldview. For these reasons, the “image of limited good,” though attractive as a theory in a book, does not describe my observations of honor-shame cultures. 2-Why limited good is demeaning. “The person who makes what the Western world lauds as ‘progress’ is viewed as a threat to the stability of the entire community” (by Foster). “Euro-Americans, of course, do not think this way. We are socialized to expect an ever expanding economy built on limitless resources and producing for all an increasing standard of living” (by Neyrey). There is good reason I have never seen any one describe their own culture as “limited good.” The label always refers to “their” culture. Etic constructs are not automatically bad, but do require some caution. Perhaps my deconstructionistic tendency is fabricating a power-narrative or implicit bias to be critiqued. Or perhaps I’m just overreacting to the unfortunate nomenclature of “limited good.” I would concede that people in honor-shame cultures are generally more “traditional” and less “innovative.” But those aspects are better explained by the constant instabilities and unpredictability of life than a general perception of “limited good.” Also, the differing perception on “progress” is more likely connected with an alternative time-orientation (past, not future). And yes, there is some competition for honor, but competition is not particular to honor-shame cultures or proof of a “limited good” mindset. For example, in the NCAA basketball tournament, the fact that 1 team wins and 63 lose is a “limited good” too. I accept the presence of many dynamics associated with cultures of “limited good,” but do not think “limited good” is a helpful umbrella terms for explaining those dynamics. To say they view “their total environment as one in which all of the desired things in life…exist in finite quantity and are always in short supply” is woefully reductionistic. Obviously there are cultural differences, but let’s be sure we’re explaining those differences in a helpful and fair manner. I think a helpful and accurate approach would be renaming the categories as “limited consumption” and “unlimited consumption.” This would still allow us to capture many of the culture differences, but reframes the moral implications of the contrasting cultures. Are the extreme consumption patterns of Western cultures healthy and biblical, or are they are violation of earth’s natural limitations? The emergence of environmental missions, by evangelicals and Catholics, has questioned the validity of unbridled development and progress. Perhaps the view of “limited consumption” is a more sustainable and virtuous way to steward creation, an outlook that requires humility and dependence upon the creator to provide for every need. Also, the term “limited consumption” highlights the socio-economic factors behind such mindsets. Perhaps the reason why Majority World contexts have a view of “limited consumption” is because most of the world’s legal, political, financial and economic structures leave very few resources for them to consume. Conversely, the view of “unlimited consumption” makes sense when the global system is designed to funnel resources from around the globe onto your plate. The 12% of the world’s population living in N. American and Western Europe consume 60% of resources, so of course they view goods and resources as “unlimited.” But the 2 billion people living in South Asia and sub-Saharan African who account for only 3% of global consumption (source) quite naturally see resources as “limited.” People who throw away food have a different mindset than people eating off crumbs. Perhaps the categories “limited good”/“unlimited good” are more indicative of global economic inequalities than deep cultural differences. I try to keep posts here at HonorShame.com as positive (and short) as possible, but the perpetuation of this idea keeps rubbing me the wrong way. (Yes, you can add this to the list of First-World problems.) Perhaps I’ve overstated the case here or there, but I think there are enough holes in the essentialist terms to question their usefulness for holding water in the future. I’m familiar with only a sampling of the literature on limited good, so I may be off here. But my hunch at this point is that “limited good” has limited good, for anthropologists and for missionaries. Thoughts? Reactions? I’m sure there are several out there, feel free to comment below. Wow. Great critique. This is the kind of writing we need to refine honor/shame theology and missiology. I am one who needed this critique. The examples of not having a “limited good” worldview as shown in lavish hospitality, wanting children to gain an education to “grow the family pie”, etc., are insightful. Thank you. Bravo Werner and bravo Jayson. I wondered how you, Werner, would react to Jayson’s strong post given that “limited good” is one of the components listed in your book. I agree that this is the kind of critique that helps everybody better see and evaluate all of the considerations. Jayson doesn’t dismiss the concept, but he points out some compelling counter-examples and then nails us Westerners on our own culpabilité on this mindset. Great stuff! He who has ears to hear, let him listen! Nuance is good. To throw the baby out with the bathwater, not as good. In my book, The Global Gospel, I have two chapters on “the image of limited good”. Chapter 2.3 defines it and gives some examples of where it is apparent in the Bible, as well as how the Bible overturns it. Chapter 3.3 explores whether gospel overlaps with this honor/shame dynamic, and I show how it does, through its antithesis——what I call “unlimited good in Christ”. I use the popular phrase “win-lose versus win-win” as a way to compare the thinking of “limited good” with “unlimited good in Christ”. A few years ago, I was with an Arab pastor in a big Sunday School class at a church near Atlanta. The Arab pastor and I shared together about his ministry in the Middle East. The class took up an offering for us. We were both up at the front of the room, and the teacher gave me an envelope with cash for us. After the class, as we were driving away, my friend the Arab pastor said to me that for the teacher to give ME the envelope (and not him) would be considered, in his culture, “a big shame”. This was definitely a win-lose experience for him. Especially because this was in public——in front of the whole class with everyone watching——it was clearly win-lose, or, “limited good”. My friend the pastor is mature and understanding of cultural differences, so he accepted what happened. He also wisely communicated to me his feelings. I was really grateful that he shared this with me, and I think it revealed a high level of self awareness on his part. I later thought, what if the envelope had been given to him and not to me? I wonder if I would have said, “In my culture, that is a big shame.” Probably not. But I still might have felt slighted in front of the group. So it is not a matter if whether or not, but a matter of degree. I think this is how we need to think about honor/shame values; it is almost never either-or (as in West/guilt “or” Majority World/shame); it is almost always to what degree, and in what form. The point is that the values of “limited good” and “win-lose” are still very much alive in all cultures, but in different forms and to varying degrees. When I think about it, win-lose is quite prevalent in Western culture; it’s the exception to think win-win. Because of humanity’s sinful nature, people everywhere have a defensive, win-lose attitude——the image of limited good. This is a human problem which all peoples struggle with. I think it is safe to say that the gospel is the antithesis of “limited good” and represents a challenge to the status quo or default values among all the peoples of the world, including the West. Excellent post. Pointing out the limited value of our categories and the reductionist dangers of their overuse is valuable. Your beginning example that turns the table on our tendency to judge from an etic orientation was both entertaining and delightfully on target. Your change of term to “consumption” does underscore the western shift to a belief that global resources are limited. Much appreciated. It is ridiculous really to begin with a limited good scenario. It’s linked to the suggestion the serpent gave in the garden of Eden.’Did God really say you may not eat from any tree in the garden?’ ie isn’t God limiting you. Yeah, sure. After having provided you with the entire garden and saying you can eat from any tree! Get out, your influence does not belong in my life! We should avoid too many western and the rest of the world comparisons, but rather advance the notion that God is a good God to as many as possible. ie preach the gospel, and learn from other cultures, rather than idolise any of them. There are good and bad examples from all cultures! This awesome Scripture from Jeremiah 10 makes the point. Thanks ya’ll, for the kind responses. I know I’m in the minority with these ideas, as “limited good” is a quite well established. Thanks for viewing the conversation as a collaborative effort. Hopefully with time the concept will be refined, as it is still has some utility. Sandra, thanks for the insights of your post. I appreciate how you untangle and explain various cultural strands. A very good critique. However, I am left wondering, if we zero in on “Honor” itself as an immaterial ‘commodity’ (since the subject here is of honor-shame), what do we make of the pervasiveness of honor being a rare ‘commodity’ with which we find in the Scripture? I don’t dismiss the fact that the first Century world had it’s own economics with some were consuming more than others. But we don’t read the material inequality as a pervasive social theme in the Bible when it comes to honor competition. All of us readers of the Bible reading the Scripture from an etic perspective are still struck at the degree with which public praise for some led to disgrace and envy of others. A good example is between David and Saul. There was absolutely nothing to do with limited consumption or unlimited consumption in the praise that was accorded David. This made Saul envious. The same applies for Jesus and the Chief priests. Mark observes this about Pilate; “For he (Pilate) perceived that it was out of envy that the chief priests had delivered him up” Mark 15:10 (ESV, parenthesis mine). Material economics of limited and unlimited consumption do not seem to be the reference here. There seems to be an element of jostling for the immaterial honor in the community. From an emic perspective, there is always the “WE” vs. “THEM” factor in the social context. If a child performs well in a national exam and goes to the top universities in the country, the extended family says “he/she has done us proud.” No one loses honor there. We all win. But when in the same community there has been a patron for years, then suddenly there starts to appear another patron who starts to get more people going to him for favors, then the incumbent patron will begin to feel the heat of some degree of honor loss. Same in politics, when “our tribesman” is losing election to “their guy” there is a degree to which WE are shamed by the honor loss. Not that when our guy wins he will do anything different to uplift people’s standards of living. All I am saying by going in circles (now you can tell I am an African) is, while a zero sum generalization is exaggerated, there is a degree to which THEIR gaining of honor makes US less honorable (not necessarily ashamed). That is raises potential environment for honor completion. Thanks Martin – I was hoping you would contribute to the discussion! ….and your input is great – practical and insightful and I really like that you have drawn our attention to biblical examples of the realities of mis-placed shame and how it elicits the win-lose responses in people. God’s Word is where we need to be digging in these issues and you have turned our eyes there and helped bring further clarity – thank you…. that as Pastor Charles Price (The Peoples Church, Toronto, Canada) highlighted when he preached a sermon on the Saul-David issue (and we see with Jesus and the Chief Priests as you so well pointed out) that when God brings ‘success’ to a Christian’s life and ministry who is having a heart after God’s own heart and others are ‘drawn’ to them because of it, others who purport to be followers of Christ but are really still seeking honor from men, are likely to become jealous and angry – while honor is sought on a ‘horizontal’ person-to-person level and not a vertical person-to-God/God-to-person level, it WILL evoke ‘limited good’ win-lose reactions. Sandra, you are absolutely on point when you write that as a Honor-Shame dynamic the image of limited good needs to be incorporated in discipleship at least for Africa (I can’t speak for other Majority World cultures). When one’s/group’s monopoly for honor is challenged, there is recipe for unhealthy conflict right there. Thus my take is that honor in itself (NOT factors that either maintain or diminish it) is a limited good from man’s perspective in most African cultures. This affects ministry in the super charged religious landscape in Africa. Here discipleship is highly needed and more so for ministry leaders. I will never forget some years ago while sited in a pastors’ weekly meeting and one pastor exclaimed in frustration, “we need to up our game to reclaim our position in this area.” He was referring to the gradual loss of church membership to mushrooming charismatic churches around our church location. There was/is pressure to conform to their ministry strategies and methods. Missionary founded mainstream churches in Kenya are under pressure to employ cooperate/business style of leadership and contemporary worship that personality led charismatic churches have. Otherwise honor is lost as members leave mainstream churches for these new church start-ups. Mark you mainstream churches are still very wealthy, therefore its not an issue of money, but of honor/allegiance. I had to sit with my pastor colleague for some chai (tea) after the meeting and helped him to appreciate what others are doing in the Kingdom is for the same purpose that we have. I quoted for him Paul’s sentiments that “… some preach Christ out of envy and rivalry, but others out of goodwill. … But what does it matter? The important thing is that in every way, whether from false motives or true, Christ is preached. And because of this I rejoice.” (Phill. 1:15-18) NIV. This sounds like a win-win situation to me. Therefore, you are right Sandra when you point out that through discipleship we can subvert people’s notions of honor from misplaced shame as you put it, to a true perspective of true, unlimited honor in Christ. Hey all, great comments here! I on board with virtually everything here, and would add just one thing. I think it may be beneficial to distinguish between the cultural modifiers “agonistic” and “limited good.” An agonistic culture regularly competes in games of honor. Jealously, envy, the evil eye, pride, and philotimeo are common cultural dynamics, especially in contexts where people strive for honor. Those cultures are generally, though not always, agonistic. But, the cultural behavior of agonism does not prove a mindset of “limited good” mindset. My main point is that deducing a “mindset” from a few “actions” is dangerous, especially when describing another culture. My hypothetical example in the post reverses the roles to make this point–there are some accurate observations about US culture, but defining “their entire mindset” as one of limited good is erroneous. I like how this discussion is causing deeper thought and greater clarity. I think the ‘agonistic’ clarification is helpful, but I would rather say that agonistic elements of a person or group are resultant (at least in part) due to the concept of limited good, combined with selfish pride, ambition and greed. Limited good is not going to be the sole factor that characterizes a person/culture mind-set, but it is a relevant and influential factor that we can’t dismiss. I think we must also remember that agonistic/combative dynamics may not necessarily be overt, and we cannot discount them as present simply because they are not overt. Just as children in a family have different personalities so do cultures in our world, in how honour/shame play out. A child can be overtly physically combative (eg a punch and kick and scream), or they can be verbally loud and wordy with fewer physical elements, while other children can be covertly physically combative (such as a pinch or bite), and yet others can be highly practiced at quiet subtle manipulation (such as hiding a sibling’s favourite toy or silently refusing to budge from a doorway – without raising a finger) – all of these are combative/agonistic but all a fight for power and honour over another. There is an unconscious desire to be above another in whatever way we can. It is all essentially the sinful human heart emerging in a variety of ways and to varying degrees to say:”me first, and thus not you first, and I’ll creatively do what it takes to achieve and maintain that”. Not only does such a mind-set characterize this culture or that, it is what Scripture tells us characterizes all of humanity. James 4:2 tells us “You covet and can not obtain so you fight and quarrel”. I truly believe that this issue of ‘limited good’ involves pondering the motives of the human heart at the core root levels, the levels which lie underneath the layers of the various cultural clothes we present ourselves in. Sounds like the experts meeting here… I would like to throw in a comment. The post makes a lot of sense to me. However, I am not ready to throw out the limited good out the window. You focus on honor/shame societies. My experience with them is limited, but I have wondered how the concept of limited good goes together with these cultural values. However, in fear cultures (which I am much more familiar with), I believe the concept is important. It might need a different label (maybe something along the lines of “image of fair share”); it probably does not determine every aspect of the world view of any people group. But what I do observe in fear cultures is that everybody is watching everybody else trying to make sure they do not get an advantage over them. In the culture I work with most closely, this advantage might be in possessions (money, land, crop, animals), health, and possibly more. (I am aware of areas of life where it doesn´t apply.) Whoever gets ahead is cosidered to have done so at the expense of others, and his progress is met with envy, social puishment (e.g. obligation to sponsor a community feast; a way of redistributing the wealth), or spiritual attacks (sorcery). As a result, people have little desire (or no showing it) for individual progress or wealth. They are aware of the negative repercussions this would have in their community, and prefer to stay at the level where everybody else is. An example: A governemt program tried to improve and enlarge harvest, and promised a sum of money for each hectar planted. They expected people would plant more because of the incentive; harvest more as a consequence, and be less likely to suffer from hunger the following year. The people, however, reasoned differently: I can feed my family for a year on the harvest of three hectars, or the harvest of two hectars plus the government reward for the two. So people actually planted less than usual. As I mentioned above, the label might not be the best choice, but I do believe the concept is important in this context to understand how people tick. Great response, thanks! I generally agree with your ideas. Reading your reflections prompted two thoughts for me. 1-Every commenter here is working with a different set of cultural experiences, as we all work in different cultures. So it is quite possible that our descriptions of “limited good” oppose one another, but be fully right. In reality, we are each simply describing the culture we know form ministry experience, and not really all honor-shame cultures. 2-Overall, I’m greatly encouraged by the conversation, as it has led to a more nuanced view of “limited good” among people. The original title “limited good has limited good” is catchy rhetoric. When understand is a fair way, the idea’s usefulness is not entirely limited. And it seems like where getting closer to that point. An interesting and helpful discussion. Thanks for initiating and hosting it. Here are a few observations from my perspective. 2. Neyrey is incorrect. Euro Americans, of course, think this way. 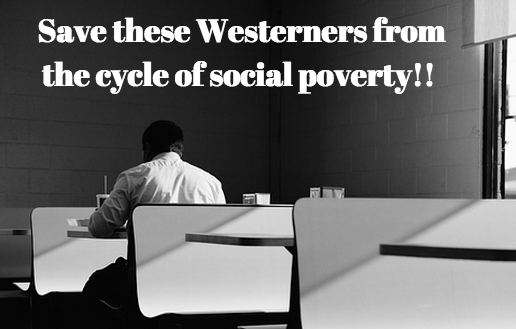 Limited good is and always has been a part of the Western mindset. History bears this out. From the serfdoms of the Middle Ages to the rise of dueling culture in Victorian England bears out expressions of limited good. At Christmastime Dicken’s works are solid examples of limited good. Scrooge wins at the expense of another (or is there another way?) Class struggles through the industrial revolution in the UK and US also show the pattern, Upton Sinclair writes about it in the Jungle or Steinbeck in the Grapes of Wrath. This is not just a historical reality but a present one as well. In New Zealand “Tall Poppy Syndrome” is talked about. The recent occupy movement that swept the globe is an expression and fear of limited good. Global warming, computer bandwith, overpopulation and greenhouse gas emissions are all expressions of limited good. (When it comes to the last piece of pizza everyone believes in limited good). It should be pointed out that contradictory concepts can and regularly do exist within cultural frameworks. Eastern worldviews seem to be more tolerant than Western (Nisbett- Geography of Thought, 2003). The more collectivist a society is the more LG is seen as a force, as Western society has become less collectivistic LG has lessened. LG should be seen on a continuum. 3. Think through other heuristic models to clarify understanding: What happens when LG is considered a “wicked problem?” Most social issues are. Placing LG in that framework may help better frame or bring out nuances that otherwise cannot be seen. Also think in sets and subsets. Is LG really just an expression of H/S or could it be the other way- is all H/S just an expression of the larger concept of limited good? 4. Think through limited good (LG) from the metanarrative of scripture. I believe scripture addresses and also challenges LG time and time again. Eden- setting of abundance, no limited good. Fall- Limitation enters the world, see Gen. 3. The perception of LG is a result of the fall. Israel-Israel is to mediate the good, the glory of God, but limits other’s hearing of God because they seek after other gods. Prophets- Israel, stop your limitation, come back to God’s unlimited good. Mark- Limited good is a major theme in Mark. Feeding of the 5,000 when we entrust our limited resources to God he will multiply them, not limit them for God’s glory. Gospel- The gospel in LG terms: Through Jesus Christ the limitation of sin can be removed and the unlimited blessing and fellowship can be restored for all who seek to follow Christ. Jesus suffered unlimited loss so that those who follow him may live in his unlimited gain. Eternal State- The presence of God is multiplied and can only be fully understood among the people of every tongue tribe people and nation. God’s presence is not limited but multiplied. Limited good is a reality that came about because of sin. Scripture consistently argues that there is not a closed system, God works within and transcends that system time and time again. Thanks for the helpful discussion. This idea of “limited good” is canonized in/by noted academics. I just read in the IVP Dictionary of the Historical Books (p 499), “honor has rightly been described as the ‘ultimate limited good’.” The “ultimate”! I find it interesting how there is no pushback against such essentialist declarations. It is important to remember that limited good describes a perception. It describes a reality for a people in a given context. The phenomena was not invented by academics but observed, and rightfully so. Observing something is not the same as endorsing the concept. Yes, I know “limited good” is a perception. And my point is that limited good is the perception of a cultural outsider who may be misperceiving the situation. This is why I turn the tables and offer an outside perception about “limited good” in America. So, you would need to say the same thing about African perception as being “rightful observations” of Western culture. Academics do not inventing cultural behavior (as you mention), but they are interpreting and defining that behavior according to their own cultural framework. While I acknowledge many of cultural aspects that leads people to use this term, I’m just pointing out that the term is far from being culturally neutral, and may even be harmful as it creates a negative lens for interpreting cultural patterns. 1 Pings/Trackbacks for "“Limited Good” has limited good"